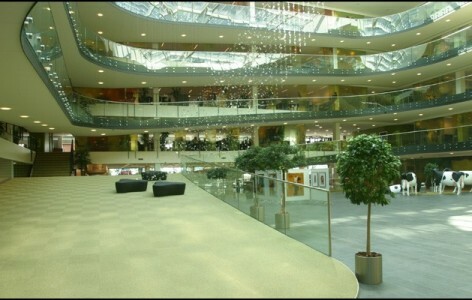 The Arla Main Office in Denmark was designed with an atrium having a width of 26m and a height of more than 20m. With such heights conventional sprinkler solutions shall be designed with such large amounts of water which no normal building have available, and as no horizontal installed conventional sprinkler systems exist for 26m wide rooms, it was quite a challenge to have the atrium fire protected. The VID Fire-Kill Model APS however was the perfect match for this project solving the problems regarding 26m wide coverage with a horizontal installed system, and reduction of water flow to match the mains water supply. 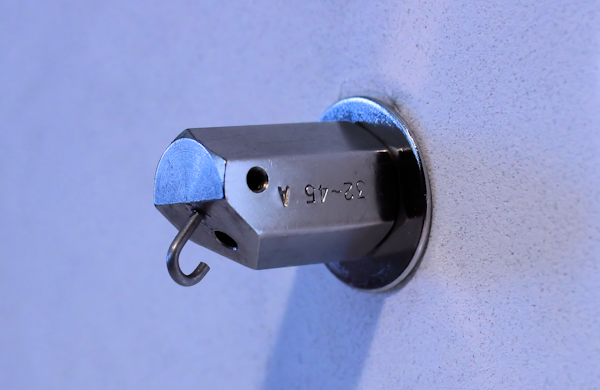 – Low pressure of only 10 bar at the nozzles making it possible to use the power connections already designed for the rest of the building. The Model APS system being a deluge system was designed into smaller zones, each covering a part of the atrium, and each zone being activated by the Model C-EL Control valve. The system was designed to be able to supply water for 3 zones in case of fire, but only one zone operating at the time. The Model APS was mounted on the two opposite sides in the first floor deck.